There are hundreds of wordpress plugins available on the internet. Some of them are very useful and some of them are only for the sake of existence. But it’s totally up to you that how you can make your wordpress blog more strong and powerful using different plugins to give your blog readers an amazing and wonderful experience. In this post, We are listing down wordpress plugins that are really essential for every blog. You are welcome if you want to share more blog loading time speed up wordpress plugins that our readers/viewers may like. Do you want to be the first one to know the latest happenings at SmashingApps.com just subscribe to our rss feed and you can follow us on twitter as well. This plugin allows you to change the order that your plugins are loaded. It also adds grouping to the plugin admin age. 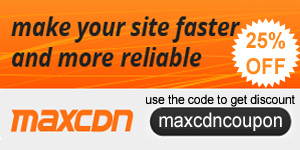 This plugin will help you make your website more quick. It can grouping and packing Java Scripts and CSS. Also it makes fewer HTTP requests. and it does it relatively well. It automatically combines and compress css/js files generate with wp_head() and wp_footer(). It enables gzip-compression if the visitor’s browser can handle it. This will speed up your WordPress website drastically and reduces bandwidth usage as well. Uses the PHP ob_gzhandler() callback. The WP Parallel Loading System is a wordPress plugin that will enhance the loading efficiency of your Blog. The CloudFlare WordPress Plugin ensures your WordPress blog is running optimally on the CloudFlare platform. I can’t imagine the “WP Parallel Loading System” plugin really helps that much. If you minify and offload to a CDN, that’s usually sufficient enough. Plus, if you add more hostnames, it just adds more DNS resolutions and that can slow down a site loading as well. Also note, a good thing to have installed in your Firefox browser is YSlow, helps figure out what’s causing issues when loading. Great list of wordpress plugins. Will have try and see whether any of this will be of help in reducing the load time significantly. Thanks for mentioning my plugins here. Does anyone know how well these preform on blogs that are mainly composed of images – ie. photography blogs? I’m interesting in hearing more about the performance for sites with heavy image content – would these plugin’s help load pages and post’s faster? Wow, this is what I’m looking for. Thanks for sharing and nice info. A Great collection of resources for design the wordpress blog or website. These resources are really helpful to anyone who is beginner in this field. thanks for your support. Why mention JS/CSS gzip and HTML compress etc. when W3TC can do all that? I like this post and I enjoyed read it. This information is what I’m looking for. Thanks for sharing. Great list of plugins to speedup wordpress. I use alot of these, especially fond of w3total cache.